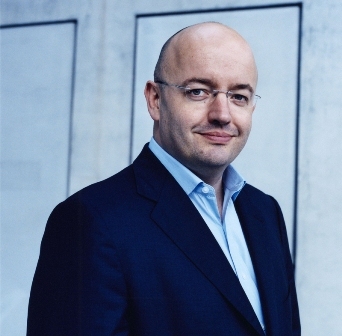 Peter Bakker, President of WBCSD and Deputy Chair of IIRC. THE RECENT launch of the Consultation Draft of the Integrated Reporting (IR) framework is set to challenge the status quo of value creation and transparency in reporting, the World Business Council for Sustainable Development (WBCSD), has said. Businesses and organisations worldwide were urged to take part in WBCSD workshops held during a 90-day consultation period. The workshops will allow WBCSD members and non-members alike to review and provide input to the International Integrated Reporting Council’s (IIRC) IR Consultation Draft Framework, ensuring it is ‘fit for purpose,’ improving decision making and driving integrated thinking for management. Peter Bakker, President of WBCSD and Deputy Chair IIRC, said business feedback is essential to improving the Consultation Draft to arrive at a workable framework for business. “The WBCSD is fully committed to the development of the IIRC’s IR framework as we believe that what gets measured gets managed. Investors need to take a more holistic view of an organisation not just the financials. This is the start of the journey to better corporate reporting,” Bakker added. IR is currently voluntary for business. The IIRC has designed the Consultation Draft with investors as the primary user, setting out the principles for a business to follow, linking strategy with financial and nonfinancial capital streams. IR will describe and disclose how an organisation’s business model uses financial and non-financial capital in producing value. The Consultation Draft will not provide the rules that must be followed in the creation of an integrated report. Instead, it will provide a framework that an organisation can determine how it should disclose its value creation journey in the short, medium and long term through its business model and its use of six different capital streams. Bakker urged CFOs, investor relations and board members to understand what IR is, as defined in the Consultation Draft. He encouraged senior management to embrace IR and to ask management boards to look at how they can improve the linkage between strategic intent and performance. “Financial capital is disproportionate in the way in which a company is valued. Social and environmental impacts are not recognised to the extent they need to be in investment and capital allocation decisions. This is short sighted,” warned Bakker. “IR is also about giving credit where credit is due. A company that leaves the environment and the community better off than when it started should have this reflected in its true value proposition,” he added.